In a large skillet, place the olive oil and garlic. Once the oil is warm, add the spinach and saute until they lose all the water. Turn off the heat and add the ricotta cheese. Stir well and set aside to cool. In a bowl, beat the eggs with the cream and season with salt, pepper, nutmeg and oregano. 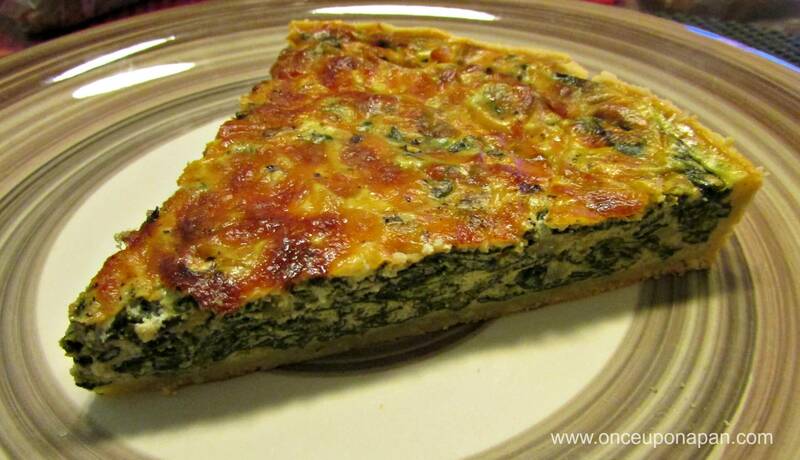 Wrap the egg mixture into the mix of spinach and ricotta. Mix well. Roll out the shortcrust pastry and line a tart pan with it, pit the inside of the pastry with a fork and pour in the filling. Sprinkle with grated cheese and bake in the oven for about 35 min or until golden and firm.